Rod Bennett was a good Southern Baptist boy who ran into the long-haired hippies of the early 70’s Jesus Movement. 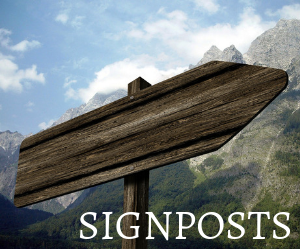 In the latest “Signposts,” he talks about how the Fathers of the Church drew him to a new understanding of the Scriptures, and ultimately, to the Catholic Church. Rod’s latest book is “The Apostasy That Wasn’t.”. Rod’s episode of The Journey Home airs Monday, May 9 at 8PM Eastern on EWTN. You can watch a 2005 episode featuring him in The Journey Home archives. Rod, a former Baptist, was received into the Catholic Church in 1996. In addition to “The Apostasy That Wasn’t,” Rod is also the author of “Four Witnesses” from Ignatius Press. He’s the former editor of Wonder Magazine, and a freelance scribe whose writings have appeared in such national publications as Our Sunday Visitor, Rutherford, Cornerstone — even Famous Monsters of Filmland! 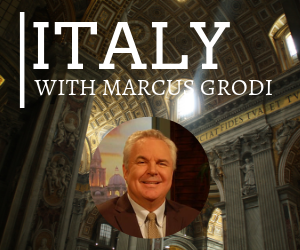 Rod has been featured on national media outlets as well; TV shows such as EWTN Bookmark and syndicated radio shows like Breakpoint with Chuck Colson, Catholic Answers Live!, Morning Air, and The Drew Mariani Show. 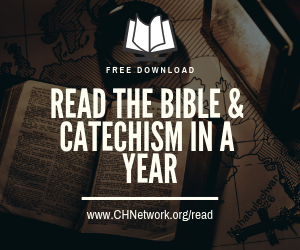 He edited “Why Catholic Bibles Are Bigger” with Gary Michuta and was one of the writers for Steve Ray’s “Footprints of God: Apostolic Fathers” TV show.